Acquired by Unibet Group PLC in August 2008. 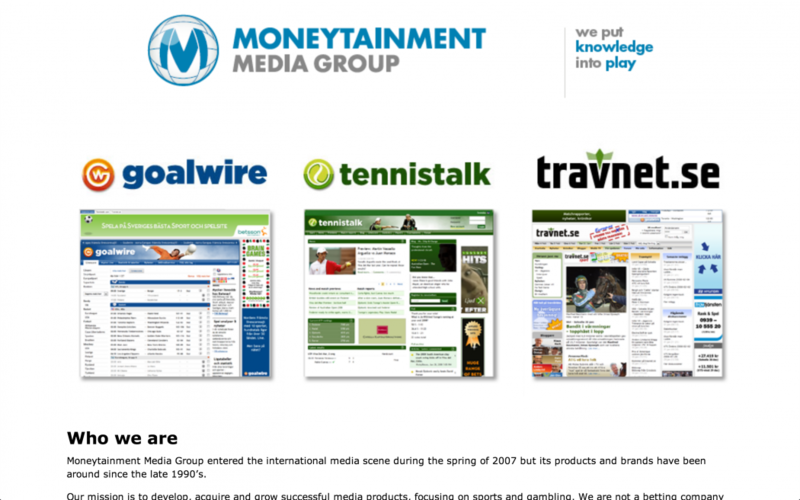 Moneytainment Media Group, based in Malta, is an online media company focusing on Moneytainment and Sports information. Mission to develop, acquire and grow successful media products, focusing on sports and sports data. Primarily by offering news, sports stats and communities that capture the interest of sports fans and punters alike.